REDUCED FROM $19,900! $700 below NADA Retail! CARFAX 1-Owner, GREAT MILES 29,068! Bluetooth, iPod/MP3 Input, Dual Zone A/C, Keyless Start, ENGINE: 3.6L V6 24V VVT, TRANSMISSION: 8-SPEED AUTOMATIC (845R. Alloy Wheels. SIRIUSXM SATELLITE RADIO For More Info, Call 800-643-2112, TRANSMISSION: 8-SPEED AUTOMATIC (845RE) (STD), ENGINE: 3.6L V6 24V VVT (STD). 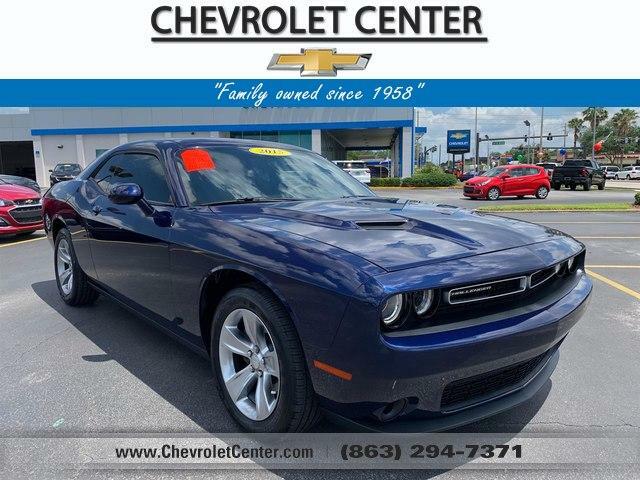 Unlike its admittedly smaller Chevy and Ford rivals, the Challenger offers an adult-friendly backseat, a large trunk and a quiet, comfortable ride that all make this boulevard bruiser a fine daily driver and road tripper. -Edmunds.com.